Due to this unpredictability of the Pitador’s looks and personality, one can only get a general idea of what the puppy’s going to be like when becoming an adult, but specificity of temperament and details in the appearance will become known in time. Of help is getting an idea about the Labrabull is knowing a bit of both parent breeds, as their traits have a good chance to be passed on. The size of a Pitador will always vary, with a height ranging from 30 to almost 70 centimeters and a weight ranging from 13 to about 55 kilos. Most chances are the Labrabull will be somewhere in the middle of these ranges, as these are only the lower and upper limits. With both parents having short coats with a moderate level of shedding, the Labrabull will most likely require a moderate level of grooming as well. While the Labrador is the barking type, the Pit Bull is pretty quiet, so any of these traits can be passed on to the Pitador. The Labrador is very friendly in nature, even with strangers, but the Pit Bull is a more skeptical dog and would rather be reserved. The parents are also on the opposite sides when it comes to being dominant, with the Pit Bull being the one with the need to dominate. This requires early training, which is an easy process for both breeds, as they are extremely trainable. 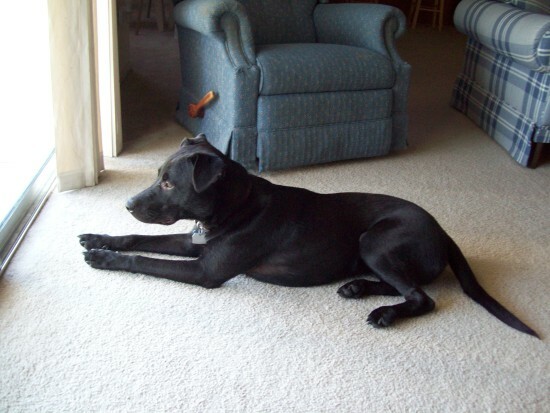 Both the Labrador and the Pit Bull are energetic in nature and, while they can adapt to living indoors, they still require a proper dose of daily exercising. Both parents of a Labrabull are getting along well with children and this trait will have most chances of being passed on. 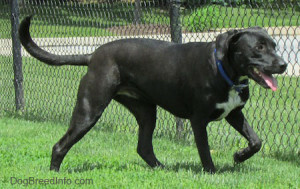 When considering other pets, the Labrabull will only be friendly if he inherits this from the Labrador parent, as the Pit Bull will lead to quite a high level of aggressiveness, thus it’s not recommended for people owning other animals as well, especially if there is no information about a specific Labrabull’s temperament. Active and energetic, both the Pit Bull and the Labrador are suitable for competitive obedience and agility sports and they also find pleasure when involved in hunting and tracking activities. They can both be used as watchdogs. Although it’s impossible to say how will a puppy be when he’s an adult, some characteristics are visible even from the start. Therefore they may display a dominant behavior pointing to the Pit Bull heritage, or be very playful betraying the Labrador side. These can be good hints for later developments of the puppy. Training is best to be initiated at an early stage, when stubbornness and dominance are not yet hindering factors. With regards to food, a premium diet is recommended; however, if it’s not possible, then vitamin supplements at the veterinarian’s advice should be provided. 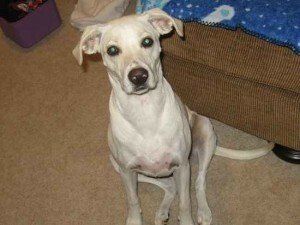 This entry was posted in American Pit Bull Mix, Labrador Retriever Mix. Bookmark the permalink.